J.F. 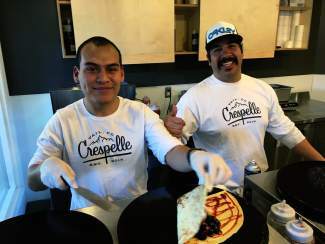 and Otto welcome you to come try the amazing crepes, juices and hot drinks at Crespelle in Vail at the top of Bridge Street. It's delicious! Fun fact: crespelle means "crepes" in Italian.